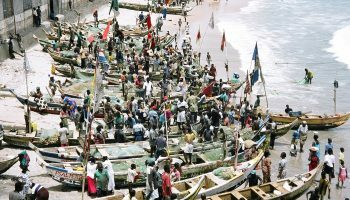 Ghanaian authorities have stepped up their efforts to crack down on ‘saiko’, an illegal practice that has contributed to the collapse of Ghana’s inshore fish stocks. Saiko describes the sale of fish from industrial trawlers to local canoes at sea. On 8 August, Ghana’s Fisheries Enforcement Unit intercepted an alleged saiko canoe that had tonnes of frozen fish onboard. Two environmental NGOs, the Environmental Justice Foundation (EJF) and their Ghanaian partner Hen Mpoano, are calling for sanctions to follow the detention. These should not only be imposed on the owner of the saiko canoe, but also on the trawler’s owner and operator. 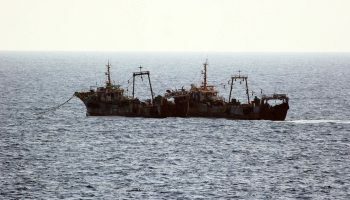 While saiko was originally an informal trading system that described an exchange of fruit or livestock against unwanted industrial bycatch at sea, the practice has led to trawlers fishing illegally in Ghanaian waters. 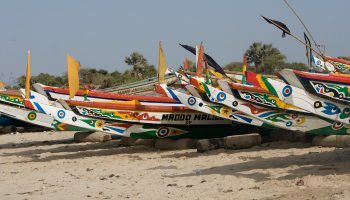 Industrial fishing vessels are therefore in direct competition with artisanal fishers for species such as sardinella, a staple food in many communities across Ghana. After they effectively steal from fishermen involved in small-scale fishing, saiko operators sell their catch then to the same communities. Images taken by the Fisheries Enforcement Unit reveal the amount of fish that can be transported in a single saiko canoe. During an average saiko trip, 26 tonnes of fish are landed, the equivalent of around 400 traditional canoe trips. The pictures also show that many of the fish may be juveniles, undermining the ability of fish stocks to recover from illegal, unreported and unregulated (IUU) fishing. Saiko is illegal under Ghanaian law, attracting a fine of between US$100,000 and US$2 million. 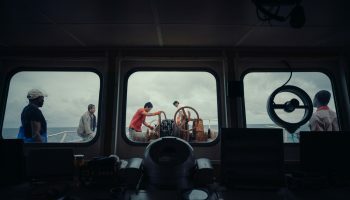 The minimum fine increases to US$1 million where catches involve juvenile fish or the use of prohibited fishing gear. The EJF and Hen Mpoano are urging the authorities to be fully transparent in the conduct of this case, and to ensure that the outcome, including the sanctions imposed and the amount paid, are published on the Ministry of Fisheries and Aquaculture Development website.